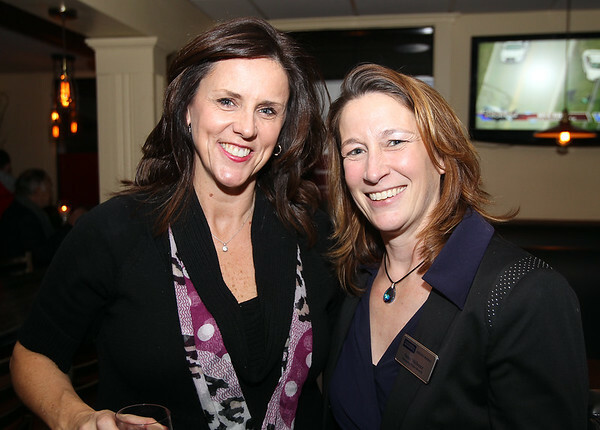 Kathy Hegarty, of Beverly, and Anne Webster, of Coldwell Banker, at the annual Holiday Party hosted by the Greater Beverly Chamber of Commerce at the Wild Horse Cafe on Tuesday evening. DAVID LE/Staff photo. 12/2/14.